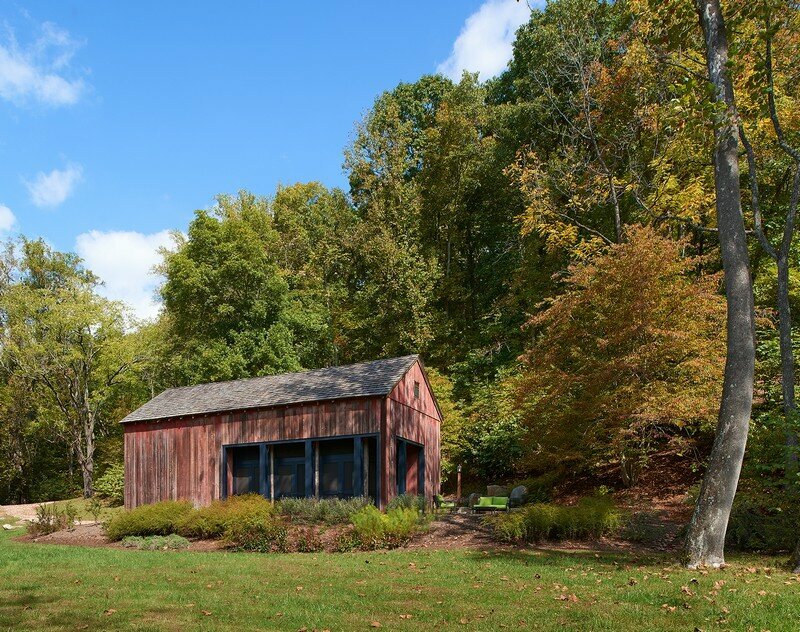 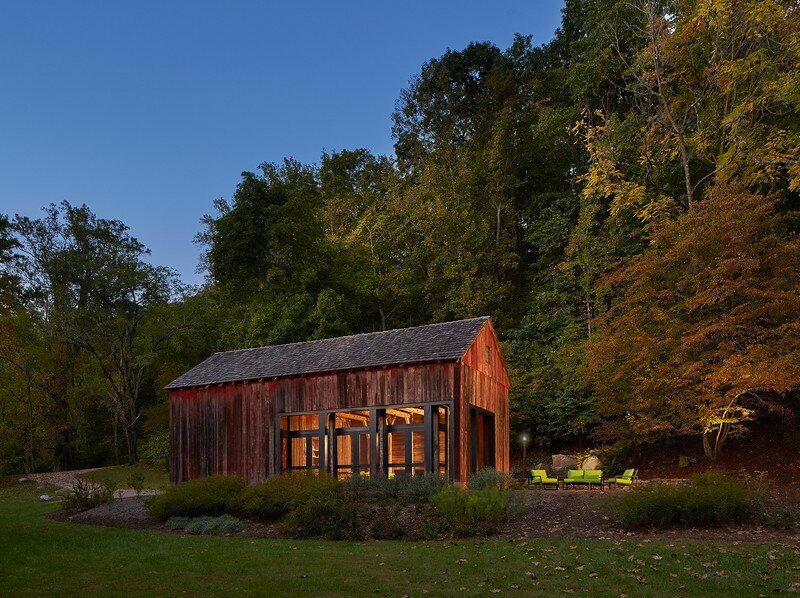 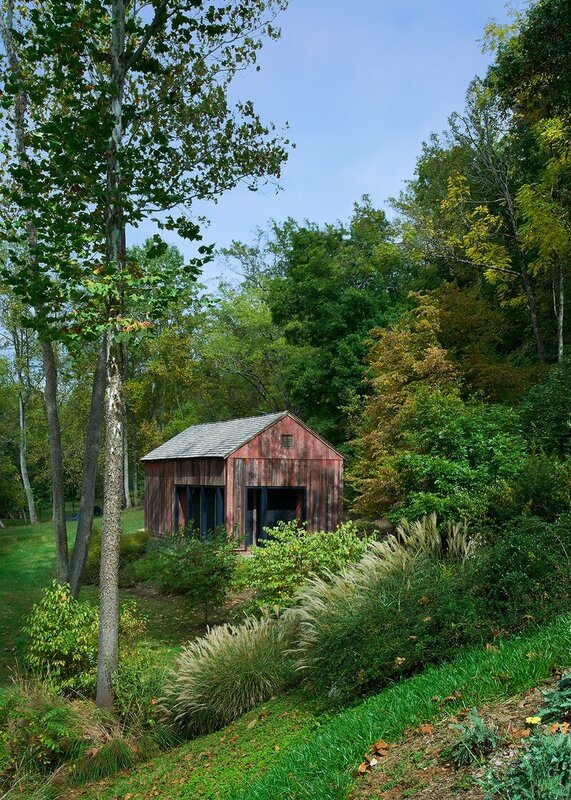 The Red Barn at Hazel River Cabin repurposes a hand hewn oak corn crib, which originally stood in Berks County, Pennsylvania, into a screened living space and equipment shed on the grounds of Hazel River Cabin in Woodville, Virginia, US. 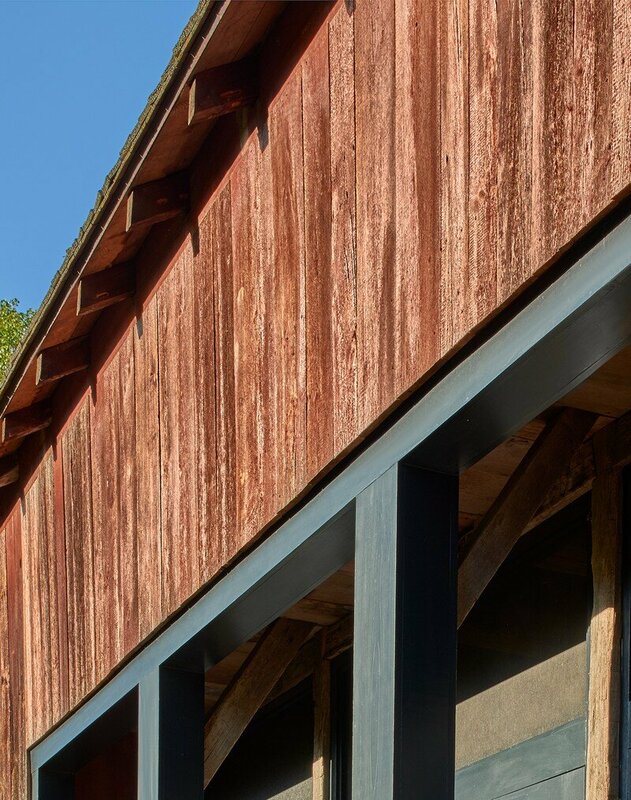 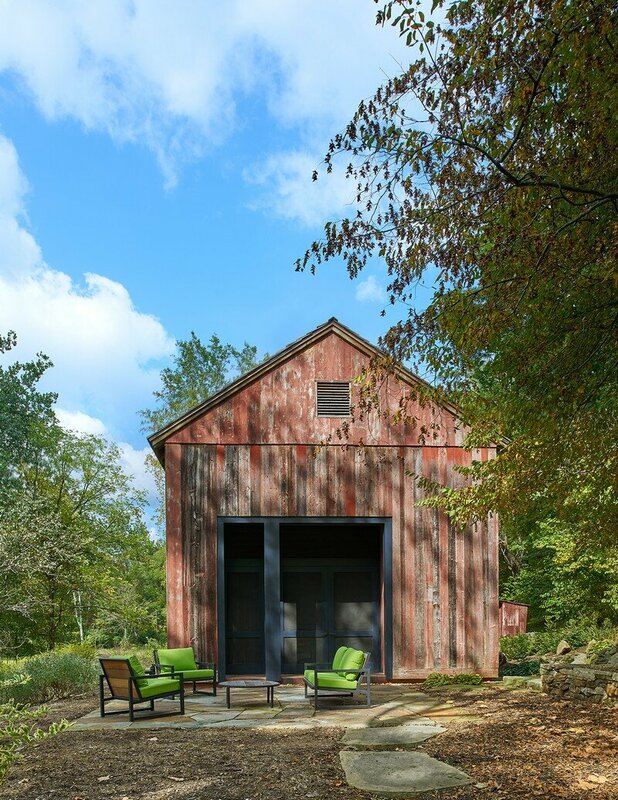 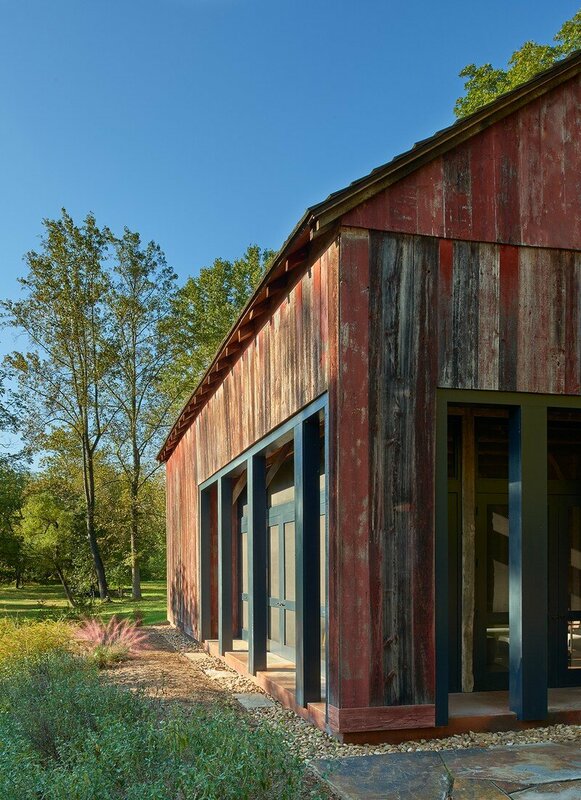 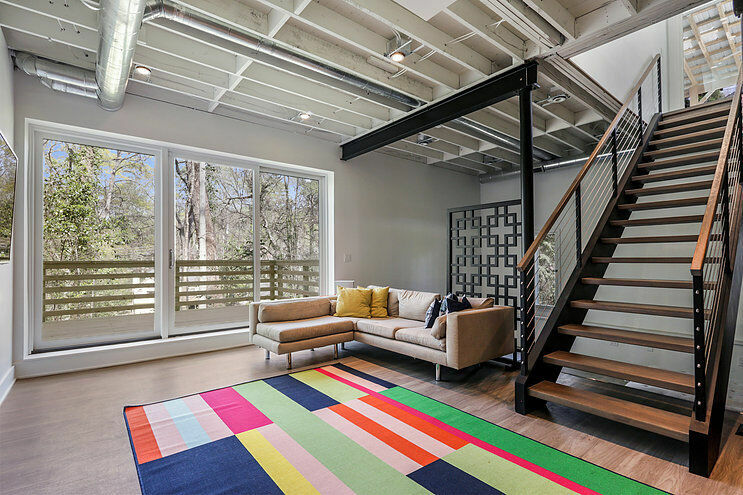 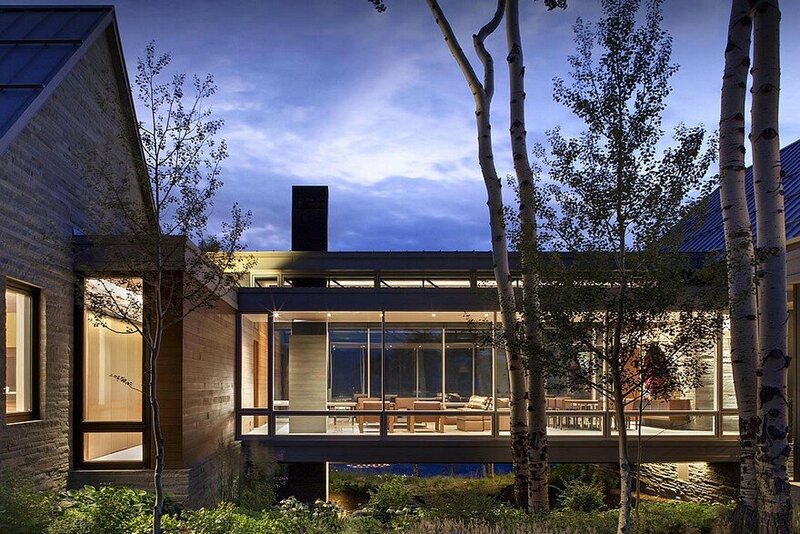 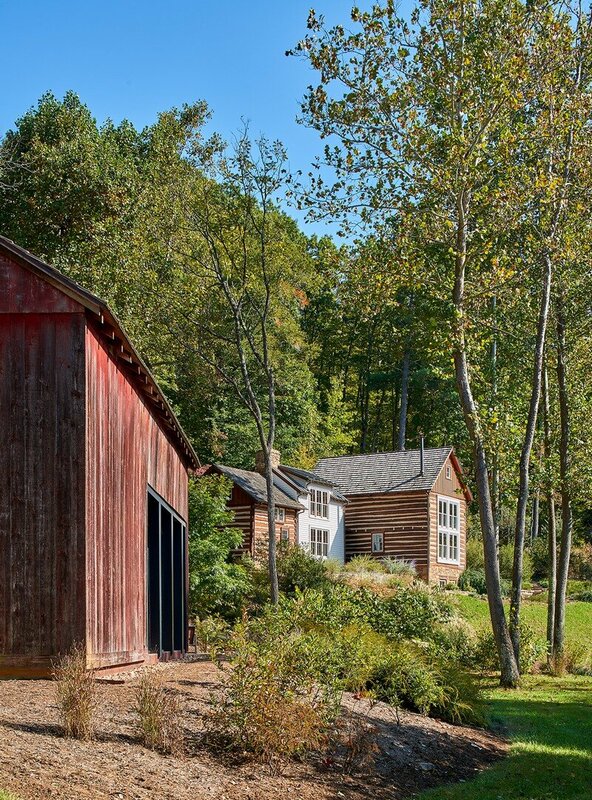 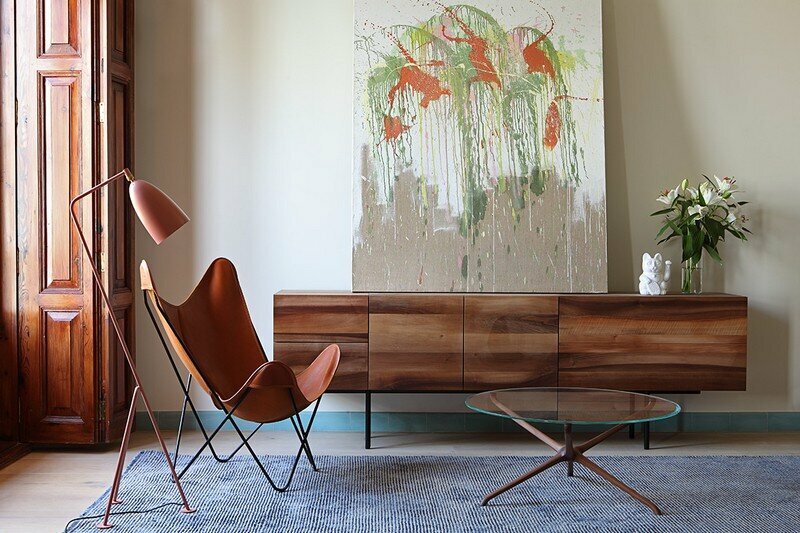 Reclaimed red barn siding emphasizes the structure’s historic use, while set-back screen doors, framed with black timber on the southeast corner offer contrasting modern lines and an asymmetrical read. 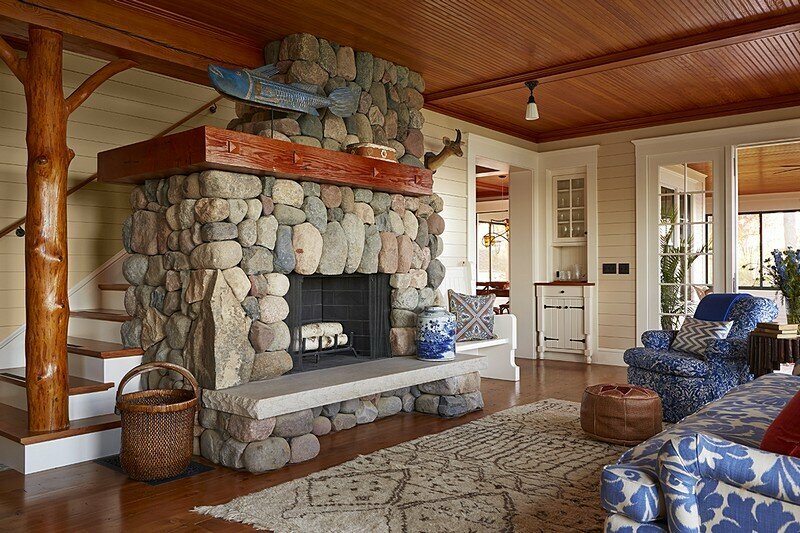 A stone terrace provides an outdoor gathering space with views to the main cabin as well as to the nearby river and mountain. 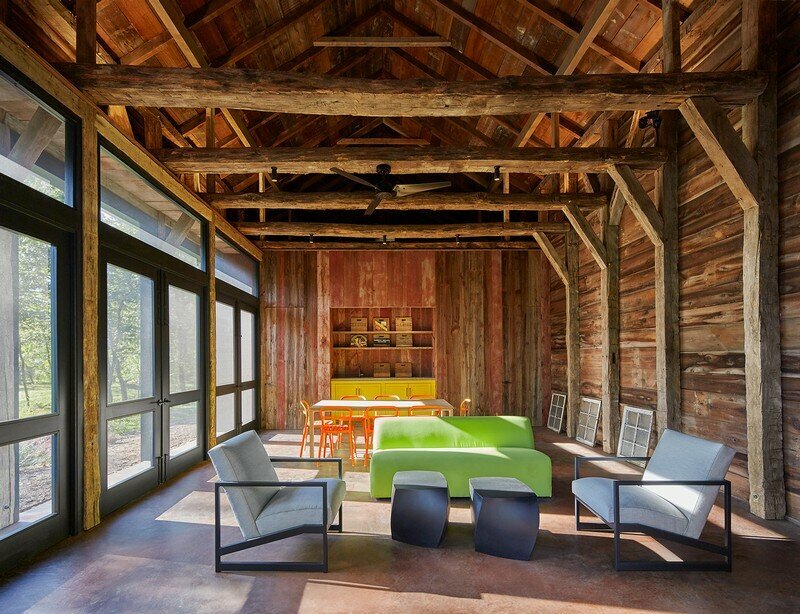 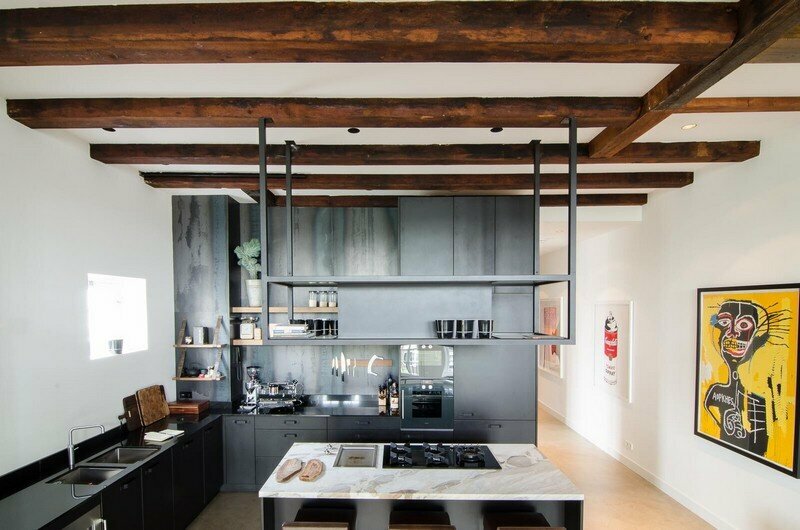 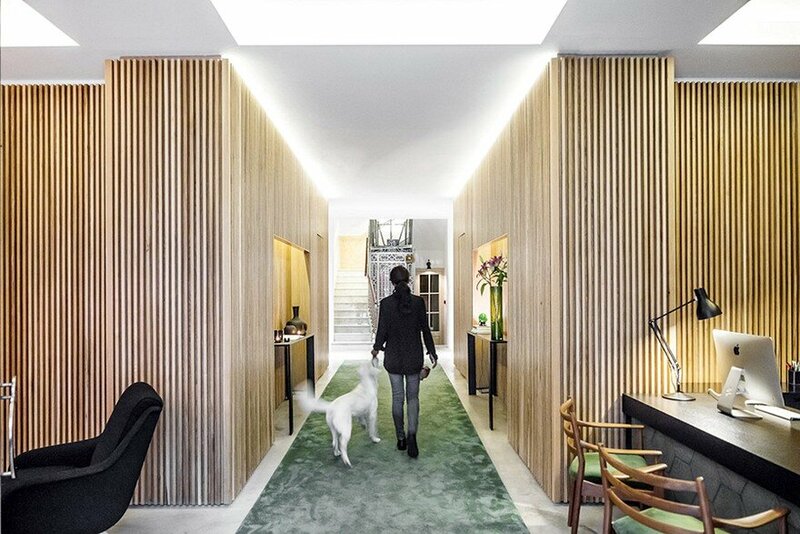 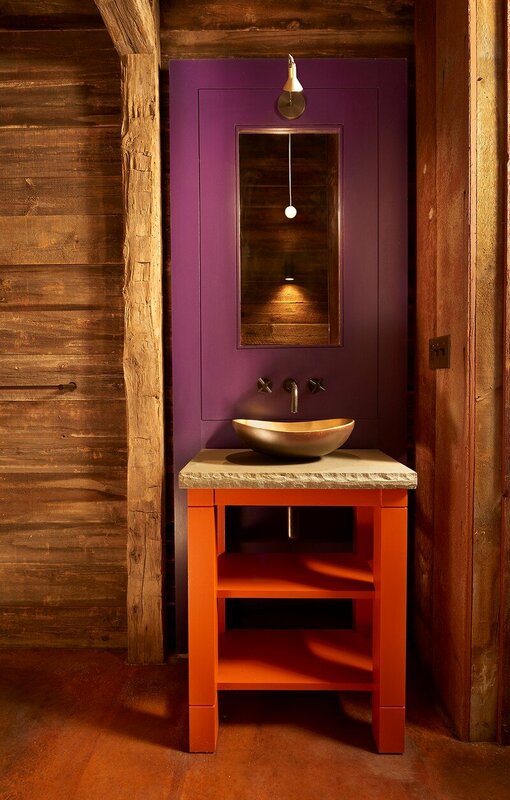 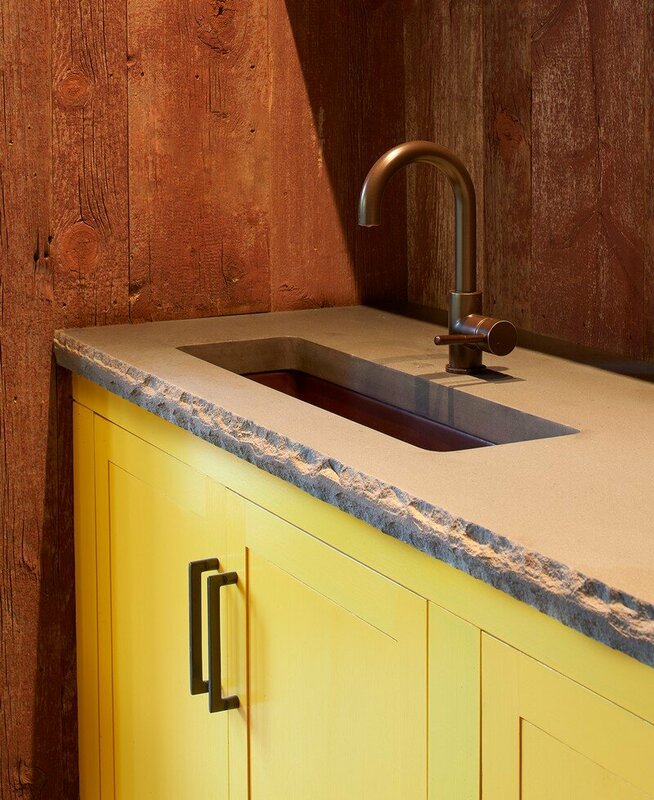 On the interior, exposed beams and rafters reveal the barn’s rustic aesthetic, with colorful and contemporary inserted cabinetry and furnishings.